Thanks to advancements in technology, the prevalence of flat roofs over homes, garages and offices has increased during the past few years. 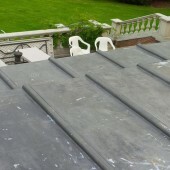 Top Job Roofing is pleased to provide a number of unique design options and materials to choose from. Offering thermal and waterproofing benefits, drainage and leaks are no longer a concern. In fact, we provide stone chips and even bespoke mineral finishes that will enhance both the longevity and the beauty of these surfaces. 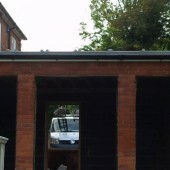 As with all of our other services, our team of expert roofers will assess your exact flat roofing needs. We are therefore able to discover the best and most targeted solutions for your home, garage or office. 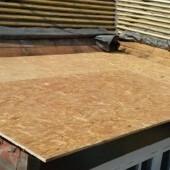 At Top Job, our roofers leave nothing to chance when approaching any flat roofing repair or installation. We work together with all of our customers to decide upon the best system that will save money over time. This is then combined with a knowledge of all relevant building codes and specifications. We also adhere to current NFRC regulations; ensuring that quality is never compromised for cost. We also take into account other factors such as proper drainage, any necessary slopes and even waterproofing adjacent walls as dictated by modern legislation. 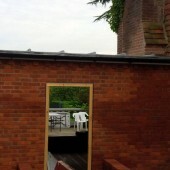 The end result is a cost-effective flat roof that will be able to stand up to even the most demanding of weather conditions while never sacrificing aesthetic appeal. 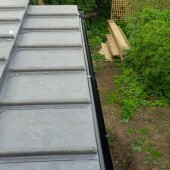 If you are considering the installation of a flat roof or you require repairs on an existing structure, please contact us at your earliest convenience by telephone or via our online request form. An expert will be happy to explain our approaches in further detail.